It is time to get ready for the 8th Annual Walnut Turkey Day Dash that takes place on Thanksgiving Day (Nov 22) at 7:30 am.! 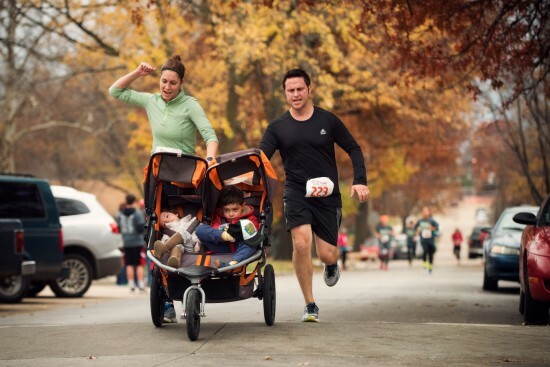 The online registration is currently open for the 2018 Walnut Turkey Day Dash 5k fun run/walk! You can register by using this paper registration form (attached) or online by clicking this link. To guarantee your t-shirt, your registration MUST be received by Friday, November 9, 2018, by noon. Additional t-shirts will be available on a first come, first served basis. Teams of 6 or more still receive a discount of $3 off per person. If you want to register online, this will only work for adult team members. If you want to include youth participants, it needs to be through the paper registration form. Youth participants can be registered online, just not as part of the team discount. We had just under 700 registrants last year and hope to continue to increase our numbers. Our t-shirts are short-sleeved in navy blue with white and yellow graphics. We continue to keep our registrations costs low with adult registration $20 each and youth registration at $10 each. This has become a family/friend/community tradition for many people and we want that to continue to grow!